Our dojo (martial arts school) teaches Yoshukai Karate classes for kids which meet every day except Sunday, for kids ages 6-12. 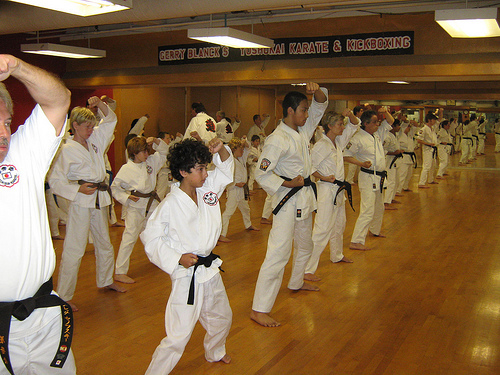 All classes are taught by certified World Yoshukai Black Belts. 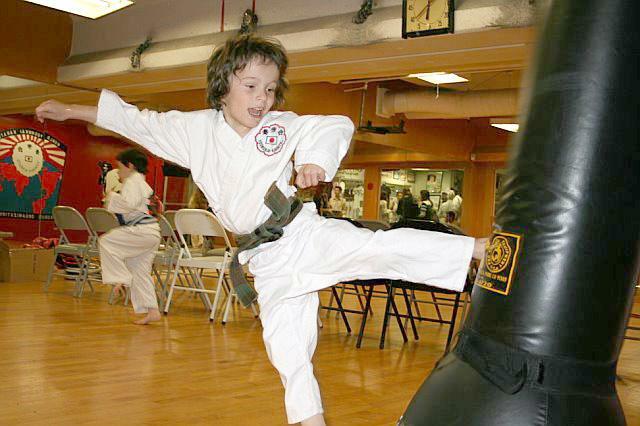 Students begin at white belt and can attain the black belt in 4 to 5 years, training at least twice a week. All testings are overseen by head instructor, sixth degree black belt, Shihan Gerry Blanck.